Can someone make a purchase in the japanese store from other country than France(Where I am). I'm really really want to buy these two in Hi-res(only on the site, no CD release like you know). For me it's simply a must have in the best audio quality, even if the MP4A is nice...but not enough for me. I'm simply want the best for the most powerfull listening. If someone is ok, join me by MP for the details. Thanks for the help even if it's not possible. OTOTOY does sell internationally (A lot of their releases tend to get the region-lock though, especially soundtracks), so if you use Paypal and have a VPN to by-pass the region-lock, you should be able to fetch it for yourself like I managed to (According to [Hidden link. Register to see links.] I followed at least). I was meaning to share my copy at some point, but I've been busy gathering materials such as additional artists & in-game extractions. I ended up using Tunnelbear, but the files were too big for the free trial, so do bear that in mind if waiting on me isn't something you can do. I can also tell you that 龍が如く極 (Ryu ga Gotoku Kiwami) also has a Hi-Res release on [Hidden link. Register to see links.] (As well as Ryu ga Gotoku 0 Side A & B in Hi-Res too), but they're a more difficult site to purchase from outside of their region (I'd love to get the rest of the Ryu ga Gotoku music there too, but something tells me they don't include the iTunes Japan-only tracks, which [Hidden link. Register to see links.] does kindly provide us with), and I've been keen to ensure I can pursue this one for myself as well. Last edited by Bizargh; 09-14-2018 at 06:29 AM. Yes I really like to have all the Ryu Ga Gotoku ost in CD version too. The complete collection will be the ultimate dream. All formats as provided by OTOTOY ([Hidden link. Register to see links.] & [Hidden link. Register to see links.]). FLAC & M4A have had extra tags/metadata added via dBpoweramp to include performers, lyricists and/or composers undisclosed by the soundtrack release (Sourced from in-game credits, in-game splash screens or other official material). WAV has limited tags/metadata due to the format's disagreement with 日本語 characters. Includes text files with official lyrics along with staff credits in both English/Rōmaji & 日本語. The full Official Soundtrack remains available from such distributors as iTunes & Amazon Japan, with OTOTOY (International, Region-Locked albums by-passable by VPN), mora.jp (Region Locked, potentially by-passable by VPN, Japanese Bank/Credit/Currency-Card required) & E-Onkyo (Region Locked, VPN ineffective) providing 24bit lossless options (This guide can assist in making digital music purchases for Region-Locked albums or sites: [Hidden link. Register to see links.]). Please consider supporting the official releases if possible. Last edited by Bizargh; 03-05-2019 at 12:38 PM. Like Ishin, it's more a compilation with tracks from Kiwami 1 & 2. Aw nice, that'll tide me over until the proper soundtrack release or rip, thanks so much Ninjy, yer a diamond! Last edited by flash6; 10-10-2018 at 06:54 AM. This unfortunately isn't anything substantial such as download links, but YouTube user [Hidden link. Register to see links.] has a very wealthy collection of recent Ryu ga Gotoku/Yakuza music, particularly [Hidden link. Register to see links.] as well as [Hidden link. Register to see links.] up for listening. I think these have been sourced from the game data ("only rip-offs from the game itself" was an excerpt from a comment by Hai Dudu for the [Hidden link. Register to see links.] track found in what I hear was Japan-only DLC for the game), but these are mostly the wholesome themes from the games (Although [Hidden link. Register to see links.] still has versions that include their outros/loop-ends despite the lack of their intros/loop-beginnings for many of his available tracks). I'd certainly love to be able to know where these are provided (The good old [Hidden link. Register to see links.] 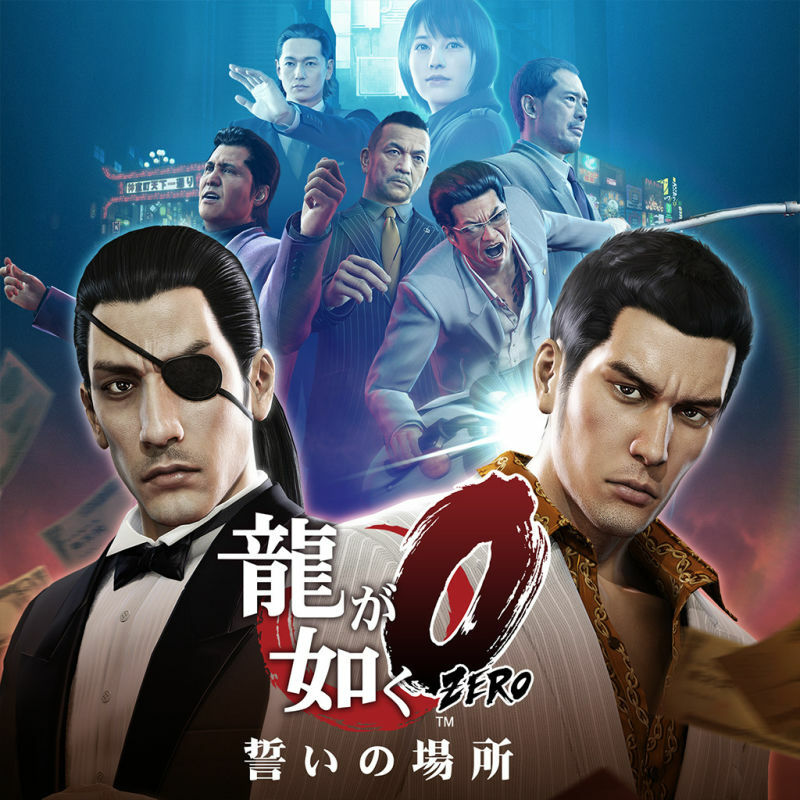 archives has only received Yakuza 6: The Song of Life as the most recent addition to it's in-game music data collection for the franchise), but these should satisfy ears until either the native data is provided/located or SEGA at long last provides an official soundtrack for both Ryu ga Gotoku Kiwami 2 (I sure do want me the diamonds within such as 'Extremely Huge', 'Update Under Gunfire' & it's edition of 'Fiercest Warrior') & Hokuto ga Gotoku (I just want the whole thing!). Last edited by Bizargh; 10-09-2018 at 08:41 PM. Yes Hai Dudu make a fantastic job with the complete Hokuto Ga Gotoku ost, man the whole thing is well 64 tracks! First I've just listened the 16 tracks link available on the net but now after earing all the playlist, I can confirm the powerfull quality of this soundtrack. Even all the cabaret and funny tracks are really awesome. I crossing my fingers for a physical release because those last albums are just essential for Hidenori Shoji fans like us! It's the same for me with the Kiwami 2 soundtrack, I received a great slap with "Update Under Gunfire" the first time. The rest of the album is just a killer winner. It's funny because I'm again on the platine with Yakuza 0...(near 230h)and i've Kiwami, 6 and Kiwami 2 to do. Lol. It's not for now, but the music is always so fantastic that we can feel the great moments and fights of the games with all the emotions even it's not also powerfull that it can be ingame with the context and the real tension of the story. Finally managed to get my hands on [Hidden link. Register to see links.] 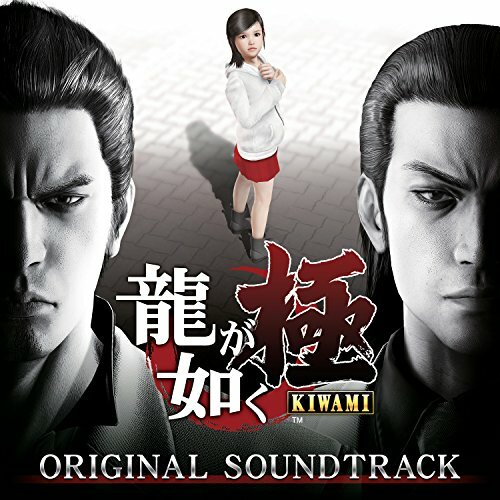 of 龍が如く極 / Ryu ga Gotoku Kiwami's soundtrack (Would've loved [Hidden link. Register to see links. ], but not even the Tunnelbear VPN was fooling that place and it's strangely not available on the far-easier OTOTOY with the rest of SEGA's present Hi-Res Collections). I've just finished cleaning up the tags/metadata (Even gave the VGMDB page a little update), extracted the cover (A nice 1500x1500) and prepared text files with more elaborate staff credits for both 日本語 & Romaji/English. I'll be sure to share it as soon as I can get it up on my MediaFire. I've also got my eye open for the still-inbound Steam release of Yakuza Kiwami to see if it will include any goodies like Yakuza 0 got. I would've rather liked to fetch an official copy of 'Receive You [Reborn]', but as far as the information [Hidden link. Register to see links.] provides, I'm getting the impression from my limited Google translation attempts that it isn't even on a CD, but limited to a Blu-Ray Music video which I do not have the hardware for, nor are there any official digital releases for it from the artist. There are MP3s out there (Ninjy's got one of their own [Hidden link. Register to see links. ]), and TheEryk24's got the In-Game File Extraction in his FLAC collection within his [Hidden link. Register to see links.] (Don't worry, these are direct MEGA folder links with no Ad-jargon to wade through), so there's no going without. And if I may ask, does anybody know where the unaltered iTunes Japan release of 龍が如く4 伝説を継 / Yakuza 4 Original Soundtrack Vol. 1 & Vol 2 can be found? I'm considering loading a big shopping cart of [Hidden link. Register to see links.] (They say 320kbps, but dbpoweramp states 318kbps on all checks of my present Ishin! & OF THE END acquisitions), but they naturally don't have the tracks beholden to the iTunes release and [Hidden link. Register to see links.] only covers 'Rebellions', with 'For Faith (Instruments)' nor 'GET TO THE TOP! ~Haruka~' & '神室純恋歌　～Kiryu & Maya～' entirely beholden to iTunes or in-game data. Last edited by Bizargh; 10-20-2018 at 05:08 PM. Does the Yakuza Kiwami ost include the official endings to each track? It kills me that my soundtrack just fades away at the end, unlike Yakuza 6. That's awesome Bizargh, i can't wait for it, thanks in advance. They do indeed end their tracks off. There's no simple fade-outs, which TheEryk24's collection tends to do as they often source from the in-game music data and/or recordings (And of course, they're often concluded with the classic combat-victory stinger, although the Dragon Engine games did start using the actual song's "loop-end" to cap off an encounter). I offer '[Hidden link. Register to see links.]' as an example. Last edited by Bizargh; 10-19-2018 at 04:00 PM. Reason: An absolute mis-read. including 'Receive You [Reborn]' & 'BLEED' by Koshi Inaba/稲葉浩志 (The latter available via digital & physical). FLAC (24bit, 48KHz) as provided by [Hidden link. Register to see links.]. Extra tags/metadata added via dBpoweramp to include performers and/or lyricists undisclosed by the soundtrack release (Sourced from in-game credits, in-game splash screens or other official material), with empty "GENRENUMBER" & "MOOD" removed (All identifier numbers remain). Includes text files with official lyrics along with staff credits in both English/Rōmaji & 日本語. The full Official Soundtrack remains available from such distributors as iTunes Japan & Amazon Japan, with mora.jp (Region Locked, potentially by-passable by VPN, Japanese Bank/Credit/Currency-Card required) & E-Onkyo (Region Locked, VPN ineffective) providing 24bit lossless options. Please consider supporting the official releases if possible. Last edited by Bizargh; 03-05-2019 at 12:39 PM. Is it possible to find an Fist of the North Star: Lost Paradise in good quality? There has been no music release for Hokuto ga Gotoku/Fist of the North Star: Lost Paradise as of yet (And I'm not the only one eager to see one), so I'm afraid in-game providings by [Hidden link. Register to see links.] & [Hidden link. Register to see links.] are the best that I've come across so far. Last edited by Bizargh; 11-01-2018 at 08:00 PM. Well, this sure slipped past me, but Hokuto ga Gotoku/Fist of the North Star: Lost Paradise's PlayStation 4 music data made it to [Hidden link. Register to see links.] archives (Search "Gotoku") a couple of weeks ago. They're all .HCA & a few .ADX files, but [Hidden link. Register to see links.] with the [Hidden link. Register to see links.] can playback and/or convert them no problem. The big plus is that it's all with very intact & identifiable names from the Iron Hammer's radio to the characteristic Boss Themes (Even the Ryū ga Gotoku cameos), but "minig_casino_kinpaku.hca" & "system_menu_bgm.hca" don't seem to produce any audio even via conversion, and I can't find any file for 'Receive You ~North Star~' in the collection, so whilst very wholesome it's evidently not 100%. It's also worth noting most of the files have a bit-rate of 176kbps, with 255kbps the highest I spotted outside of the "movie" folder (Which is extracted from 日本語 Cutscenes), so aim low for any conversion formats. It's not an Official Soundtrack of course, but it should suffice until one occurs and highly supplement it should it do so. It's cool Bizargh, thanks for this share. In despite of a great quality audio, we have all the tracks in addition with the classic 16 tracks rip in MP3 320. I really love the Cabaret tracks!lol. Pampam palala papa X100! So... is the only thing available for Yakuza / Ryuu Ga Gotoku 5 those sh***y MP3s? I'd love to have FLAC for these. That Best Selection in AAC is OK, but I'd really prefer FLAC for all of them. Has nobody really never ripped / found these in FLAC? I'd be ready to take a legitimate AAC version of "龍が如く5 夢、叶えし者 オリジナルサウンドトラック Vol.1" where both songs are. Not MP3s. Last edited by Lebon14; 11-19-2018 at 02:35 PM. So... is the only thing available for Yakuza / Ryuu Ga Gotoku 5 those sh***y MP3s? [Hidden link. Register to see links. ]'s got a large collection with the genuine iTunes M4A release for 龍が如く5 夢、叶えし者. Unfortunately, the only step-above I know of is [Hidden link. Register to see links. ]'s M4A AAC-LC offering which leaves 'Bloody Moon(龍が如く5 夢、叶えし者 Opening Theme - Game Edition Version)' iTunes exclusive (Which strangely reads 318kbps according to dbpoweramp from the Ryu ga Gotoku OF THE END & Ryu ga Gotoku Ishin! soundtracks, but beats in-game files). There has been no wholesome physical nor lossless release for Ryu ga Gotoku 4, OF THE END, 5 nor Ishin! to date (The Best & Series Best CDs only having selections from each game), with Kiwami 2 & Hokuto ga Gotoku/Fist of the North Paradise still largely unreleased music. And speaking from experience, mora.jp is one difficult & expensive region-lock to circumvent. Last edited by Bizargh; 11-20-2018 at 10:08 AM. I thought that collection was all MP3s. I guess I didn't look correctly. Too bad about the Yakuza 5 not having a lossless soundtrack though. *sigh* Well, I got the Eurobeat track I wanted from that Taxi scene in my second prefered format. The AAC reads 320kbps because, even on CBR setting, it's not really CBR: it's a reaaaaaaaaally tight VBR. Tighter than ABR. Last edited by Lebon14; 11-20-2018 at 09:19 PM. Too bad about the Yakuza 5 not having a lossless soundtrack though. It really is. If they had kept up their physical release streak, the only obstacle I'd have to overcome would be Local Import Tax on top of the International Postage fees (OTOTOY's happy enough with you using a VPN to by-pass their album region-locks, but mora.jp's more picky & only accepts 日本 bank, with myself having a trust issue or two with iTunes). At least 'The Battle for the Dream' can be attained as such (Shame I can't circumvent the iTunes exclusivity of 'For Faith (Instruments)' though). Last edited by Bizargh; 11-29-2018 at 03:10 PM. For the release of RgG Online, i retrieved all the BGM of the game. For the few time I played, they did a cool selection. Don't get excited too quickly. They are all CRI HCA format, and none of the tools I tried managed to convert them. They most probably use a new cypher key or format that is for now unknown. If someone is good in this stuff, he can try to do it. Lebon14: I'm not really interested in lossless stuff. I'm fine with HQ compressed formats.